A new investor should checkout Part 1, 2, and 3, of the Finance and Purpose Simple Guide to investing. Masayoshi Son, the CEO of Softbank, is a lesser known veteran of the dot-com bubble and information technology revolution. In the past 5 years, he has been quietly making deep impacts on today’s tech economy. With the vision of a Steve Jobs, the Wealth of a Warren Buffett, and the boldness of a Richard Branson, he is radically pivoting Softbank from a Telecom Conglomerate into the largest Strategic Technology Investment Firm with the likeness of Alphabet Google and Berkshire Hathaway. Softbank’s current ventures and investments seem like the A-Z of 21st Century technologies. Masayoshi has made investments in Asian ridesharing and E-Commerce (Alibaba and Didi Chuxing) to futuristic Artificial Intelligence and Clean Energy. With great boldness also comes great financing activities. Showing his impartiality to politics and shortsighted current events, Softbank has garnered Billions of dollars in cash infusions from Saudi Arabian investments and other parties. Some criticize Softbank’s $160 Billion debt, however as a Telecom giant wanting to pivot into an investment firm, a high debt level is appropriate in SoftBank’s situation. SoftBank’s debt to equity ratio has always been a bit on the high side considering its history. From 2012 to 2014, SoftBank took on a large amount of debt, most likely due to its Sprint acquisition. However, we can see that for the past 2-3 years, its debt ratio is lowering, and as we shall see below, a lot of of SoftBank’s debt will be removed pending IPO’s and mergers from its children. Next, the nature of the Telecom industry is extremely capital intensive and requires long term debt to finance its operations and infrastructure. Softbank’s legacy as a Telecom firm means that its management is experienced with sound business operations that require high levels of debt. Softbank’s management team’s financial expertise in debt handling will translate into sound financial management of the New Softbank as a High Tech Investment Conglomerate. As High Tech firm, New Softbank will require a large amount of debt to increase its returns. The similarity in debt management expertise required for a Telecom business and an Investment firm creates a synergy between the management style of Legacy Softbank and the New Softbank. As an aside, after the dot-com bubble and the 2008 crash, someone like Masayoshi has a lot of experience when it comes to failures and successes. In 1999, Masayoshi was the richest man before the dot-com bubble popped, and lost Billions in wealth. After all, an executive who’s never failed hasn’t learned anything, and an executive who’s seen struggle in the past is bound not to make the same mistakes again. 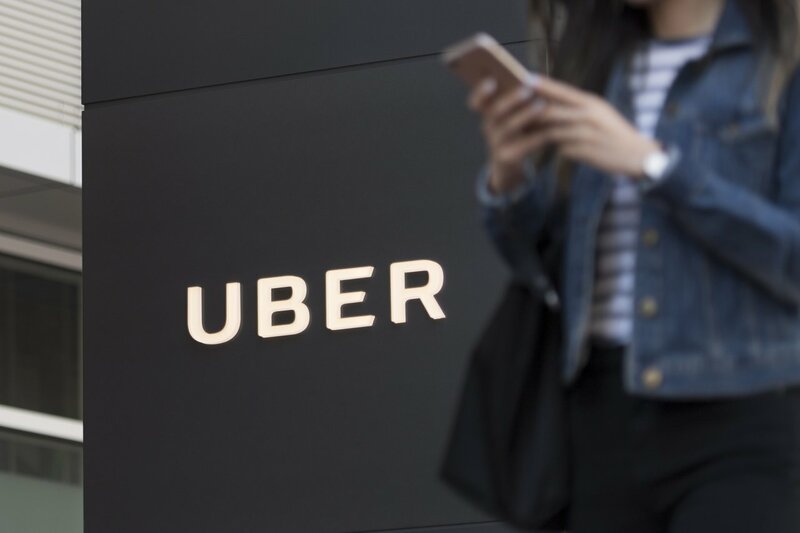 As prudent investors at Finance & Purpose I advise against buying any shares of Uber / Lyft on the IPO because of the large uncertainty and mania. It could either skyrocket, or dip, and more experienced institutions can short sell retail investors into oblivion (pump & dump). However, as prudent investors, I also recognize that we must capitalize on future opportunities. In Late 2017, Softbank invested appx $7+ Billion Dollars into privately held Uber, a 15% stake valuing at about $50 Bln (rough estimate). Latest headlines in Dec 2018 tease that an Uber IPO will be valued at $120 Bln. From Softbank’s perspective it is gaining almost a 200% return on its initial investment in under 2 years. That is a massive amount of profit, and this IPO only solidifies Masa’s expertise — or luck, whatever you want to call it. Since Uber and Lyft will IPO at the same time, there will be massive hype. Wall Street + Retail investor mania for such IPO’s will cause a lot of jumpy investors to lose money after the shares either pump and dump, or tank right off the bat. However, we know that by holding a part of Softbank we can share in this profit before it becomes public. Of course, I can’t predict the share price of Softbank on such a date, but as a business, Softbank is bound to make large returns on its investment. A similar return occurred recently after Softbank’s sale of Flipkart to Walmart, garnering 60% return on its investment. In addition to the Uber IPO, Softbank is a majority owner of Sprint. Sprint and T-Mobile announced their merger in April 29 2018, which will finalize in 2019. It usually takes 180 days for a merger to be approved by the regulatories (FCC, etc). The merged company is valued at $146 Bln Dollars, of which Softbank will own 27%. The controlling company, Deutsche Telekom has agreed to transfer Softbank’s debt related to Sprint into its own books, a great move by Masayoshi to further decrease and manage Softbank’s liabilities. There is some history to this merger. Masayoshi originally wanted to take full control of the resulting company, but eventually realized that Sprint was lagging behind T-Mobile, and thus decided to concede the majority ownership to Deutsche Telekom (T-Mobile’s owner). While some may see this as a weak move and Masayoshi himself was at a disappointment, as a shareholder I believe it’s one of his biggest deal making accomplishments. Here is the main reason: the structure of the Sprint + T-Mobile deal aligns with Softbank’s strategy as an investor in key companies, and not as a controller. There are very big differences, because as a controller, while you get control of the market, you also inherit the liabilities, and take considerable management overhead to run the business. As a mere investor, Softbank is able to reap partial profits and gains from the upcoming 5G revolution, without having to incur debts for Telecom infrastructure. By holding a 30% stake, Softbank is an agile company that can invest in positions which are attractive and quickly divest to cut losses when investments turn sour. Remember, SoftBank is pivoting to become an High Tech Strategic Investment Firm, and as such, the its goal in the Sprint + T-Mobile merger is to leverage investment positions and NOT by directly interacting in the telecom business. In case something goes wrong in the Telecom market, since SoftBank is a mere investor (at 27% of the resulting Merger), it can be in a better position to exit if needed. The Cluster of No.1 Strategy has two features… The first is that this cluster will comprise only No.1 companies …. The second feature is that we do not overly control or manage those companies in the Group. When asking companies to join the Group, we do not demand brand integration or equity ownership of 51% or more….. Divesting companies … is not easy. In other words, with shareholding limited to 20%–30%, the Group can easily enter or exit from investments. Now, no discussion about Tech and the next decade is complete without mentioning autonomous vehicles. Softbank is well known for its investments in Artificial Intelligence with its investments in GM Cruise, but this recent announcement with Toyota solidifies SoftBank’s preparation for the 2020’s to compete with companies like Waymo. In the beginning of October 2018, SoftBank announced a joint venture with Toyota to create Monet Technologies. It is a Self Driving venture with a unique twist. SoftBank’s assets in IoT and AI combined with Toyota’s “e-Palette” electric car platform will be combined to create what they call an “Autono-MaaS” (Autonomous Mobility as a Service) platform. SoftBank will take a 51% stake. The goal of this venture is to roll out a mobility service in Japan in the early 2020’s with expansion abroad in 2025+. As it is an extremely recent development, not much information is available, but a strategic partnership between SoftBank and a large automaker is good move for the Self Driving industry ex-US. As it currently stands, on December 28 2018, SoftBank’s ADR shares are trading at about $32 USD (SFTBY) with a total market cap of $71.54 Bln Dollars. Most analyses that I’ve read on SoftBank break down each line item and analyze the debts and assets in great detail, however, I think that SoftBank is a far too complicated conglomerate to give an accurate detailed analysis. As we can see from the above charts, the P/E ratio of SoftBank has been slowly declining since 2014. This indicates that the price that investors are paying for its earnings are lower and lower each year. A low P/E ratio usually signals a buy because it indicates that the stock is undervalued. This is not the only metric with which we should make our analysis though. The Price to Book ratio of SoftBank has also been steadily decreasing which means that the pricing for its net assets have been getting cheaper and cheaper over the years. Lastly we would like to note that SoftBank’s share price has been slowly declining up until 2016 which from then on, it has been slowly increasing. Similarly to SoftBank, AT&T a telecom of comparable size, we can see that the P/E ratio is slowly declining. However it sits at 5.383 compared to SoftBank’s 4.646. Similarly to SoftBank the P/B ratio and price per share has been declining. Because of the similarities between SoftBank’s metrics compared to AT&T we can easily say that the current Market sentiment pre 2016 is valuing SoftBank as if it still were a telecom play. The share price for SoftBank has not exceeded its historical price as a telecom. A huge anomaly is that in 2016, SoftBank’s share price bottomed out at $20.82 dollars per share but has been steadily rising ever since. I believe that after 2016 the Market has been slowly pricing in SoftBank’s future as a technological conglomerate though it has been slow to give SoftBank its fair valuation. I decided to compare SoftBank to Alphabet (Google) because it was the most similar type of company that I could find. Alphabet’s history is similar to SoftBank as it started out as a purely focused company on Search Engines. Remember that it was not too long ago when Google turned into the Alphabet Conglomerate. After raking in massive amounts of cash from its search and ads business, Alphabet is now a conglomerate style company with a big cash cow and a lot of room to invest in ventures. We see that SoftBanks P/B value is 4x lower than Alphabet’s. As a Tech Conglomerate, SoftBank is like Alphabet in its beginning stages — trying to turn from a “Search Company” into a technological conglomerate. We can see that Alphabets Price to Book value is steadily increasing compared to SoftBank’s. Likewise the P/E History of Alphabet is extremely high and increasing compared to SoftBank. Ok. What does Alphabet’s profile have to do with SoftBank? If you value SoftBank as a tech conglomerate and consider it as such, right now it is extremely undervalued (its P/B is 4x lower if we look at SoftBank as a Tech Conglomerate)! Most “conglomerates” on the scale of Alphabet, like Amazon, Hp, and IBM, trade at significantly higher P/E, and P/B ratios than SoftBank. From the charts above, it confirms my conclusion that the market value for SoftBank as a Telecom Operator is very fair, however as a Tech Conglomerate is is extremely undervalued. Remember, going into the 2020’s we can’t look at SoftBank as a Telecom anymore, we must analyze it with the likes of Alphabet, Amazon, HP, IBM, and other Tech Conglomerates. 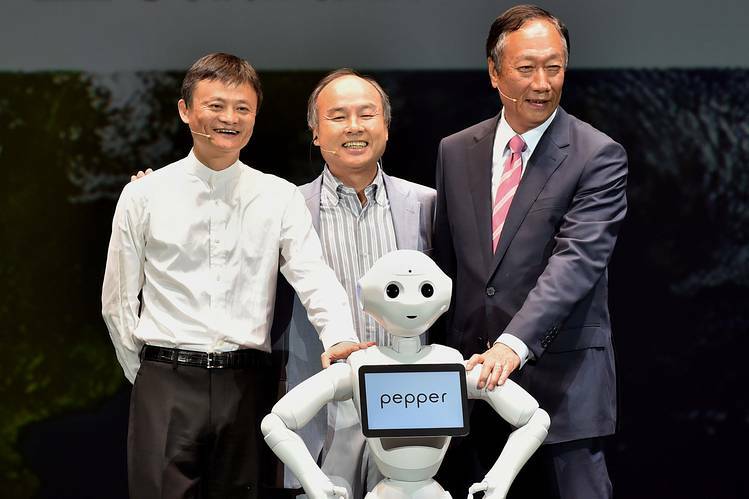 Consider that SoftBank owns a large stake in Alibaba, Nvidia, and other Ecommerce and Ridesharing businesses, as well as Boston Dynamics and ARM Corporation. Buying SoftBank at its current price today, is like buying Alphabet Google at its price 5+ years ago, especially considering that SoftBank’s share price bottomed out in 2016 and is now slowly on the trending rise. Because of the December 2018 sell-off, we can’t say for certain that SoftBank won’t drop below its current price floor of $32 per share. However, as a value play, the intelligent investor would be wise to slowly dollar cost average into SoftBank’s shares — starting now, at local market lows. In addition, considering that SoftBank is a foreign company with investments all over the world, investments in it provide exposure to foreign markets. We see that considering the share price and book value of SoftBank when viewed as the Tech Conglomerate which it rightfully should be, is extremely undervalued. However, the Book Value isn’t everything, because we know that intrinsic value such as Management Expertise, Track Record and other factors also play into a company’s value. Intrinsically, SoftBank has been around since 1980’s — a long amount of time for a technology company relatively speaking. As stated at the top, Masayoshi and his management team is of stellar quality since they’ve had experiences with managing the company since the dot-com era. In addition, Masayoshi’s investments still have much room to grow, such as Uber’s IPO, and its huge stake in Alibaba. To conclude, looking at its P/B and P/E ratios compared to other companies in the Telecom business, SoftBank is valued at a right price. Its debt level is acceptable considering its past history and the nature of its operations. Lastly, when viewed as a Tech Conglomerate, SoftBank is extremely undervalued, and factoring in other intrinsic values like Masayoshi’s experience and investments, it deserves a BUY. Comment below. What do you think of SoftBank and its valuation? Is Masayoshi crazy, or does he see something we don’t? The Intelligent Investor, by Benjamin Graham, is a great resource for young investors to learn about the market. Graham’s book is a shrine of clarity against all the noise on Wall Street, Mania, Clickbait and Headlines these days. Learn to Think before you invest, and you will surely grow rich. Disclaimer: James Sanders owns SoftBank shares and is long SoftBank.